One of the most sought-after musicians in the prog-rock scene and then some, keyboardist Ryo Okumoto has earned a global reputation performing with some of the biggest names in music, including Kitaro, Natalie Cole, Phil Collins, Aretha Franklin, and Roberta Flack. A member of the prog-rock group Spock's Beard, he occasionally makes a side trip to tour with some other superstar or work on a solo project, the latest of which is Coming Through. 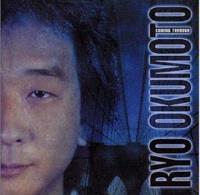 To record Coming Through Okumoto rounded up a team of superstars to create an truly exciting progressive rock adventure. Okumoto is out front on keyboards throughout including two instrumental offerings. He is joined by Dave Carpenter and Dave Meros on bass, Steve Lukather, Jun Sumida, Alan Morse and Michael Landau on guitars, Simon Phillips, Nick D'Virgilio and Sage Okumoto on drums and Andy Suzuki on tenor sax, Doug Webb on alto sax and D. Jon Papenbrook on trumpet. Vocals were shared by Nick D'Virgilio, Bobby Kimball, Glenn Hughes, Michael Mishaw, Alan Morse and Linda Green Okumoto. "Godzilla VS. King Ghidarah" is an instrumental with Okumoto out front on keyboards. He is joined by Dave Carpenter on acoustic guitar and bass and Simon Phillips on drums. As one would imagine from the title, this selection is dramatic and powerful. It is progressive with a jazz fusion slant. With Spock's Beard drummer and vocalist Nick D'Virgilio out front on vocals this peppy little diddy starts out simple but explodes into the refrain with a great hook. D'Virgilio also wrote this one. Co-written by Spock's Beard alumni Neal Morse and vocal heavy with Bobby Kimball on lead vocals, this one has a slightly darker feel to it, with a Steely Dan influence on the refrain. Also co-written with Neal Morse, Glenn Hughes is out front on the vocals and this one rocks hard. It also features Sage Okumoto on drums. Sage is Ryo's 14-year-old son who was probably about 12 when this was recorded. Another instrumental, composed and arranged by Okumoto, this one is far more progressive with some nice twists and turns. The title track, this tender ballad with Bobby Kimball on vocals was also co-written with Spock's Beard alumni Neal Morse. Another Morse/Okumoto collaboration, this track, featuring vocals by Bobby Kimball, is strongly prog-rock with tones of Boston and traditional progressive rock bands. Composed by Ryo Okumoto, the closing track is a nice solo instrumental offering by Okumoto. With a great deal of classical piano styling it covers a spectrum of emotions.